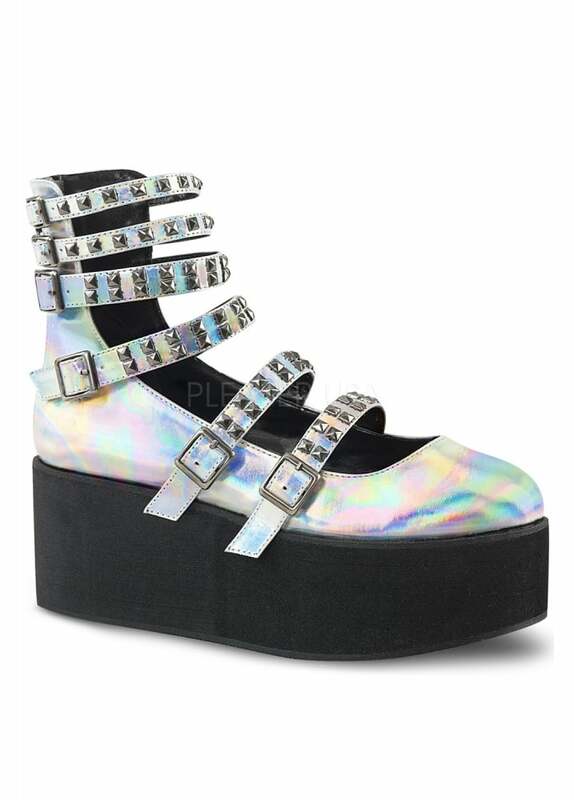 We love the holographic trend and Demonia has not disappointed us with their Grip 31 Hologram Flatform Shoe. This cyber style platform has 6 pyramid studded Mary Jane straps and a zip back. The alternative flat shoe sites on a 2.75" platform sole.